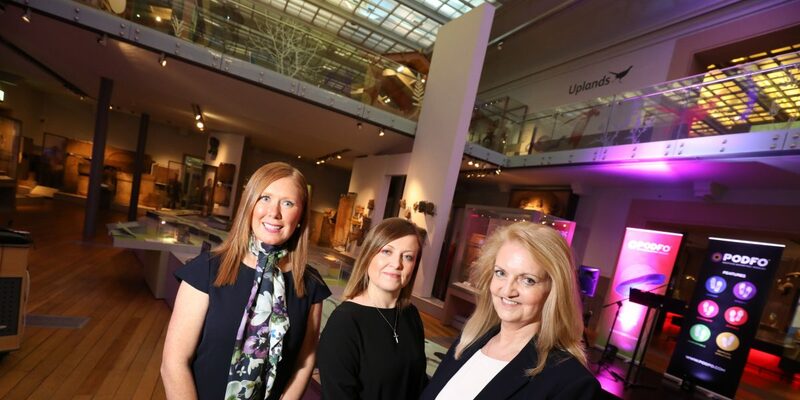 Leading Newcastle-headquartered B2B marketing agency Horizonworks has been appointed to deliver a range of marketing activities to support the reposition and launch of a bespoke biometric insole for North East innovator, Podfo. Podfo – an innovative bespoke biometric insole which is seamlessly designed for the closest fit to the foot, supports the foot’s natural movement to enhance biomechanical performance and improve comfort. Podfo is distributed through a network of Podfo Partners who are located throughout the UK. All partners are qualified podiatrists with specialist interests in Musculoskeletal conditions, sports injuries, treatment and sports performance. Horizonworks which has offices in Newcastle upon Tyne and Middlesbrough provides marketing, strategy, PR, creative and digital support to clients globally. The firm has implemented a wide range of marketing services for Podfo, including a rebrand of the organisation, and the design and development of a new website and marketing materials to launch Podfo into the orthotics market and position it as a leader and innovator in the development and manufacture of bespoke biometric insoles. In addition, Horizonworks recently supported Podfo with a product launch event held at the Great North Museum: Hancock to unveil the new brand, website and marketing plans which will help drive its strategy forward. Podfo is the latest organisation to join Horizonworks’ extensive client portfolio, with other recent additions including US-based AmeriWater, a premier provider of water purification equipment and York-based Fera, a private and public sector joint venture, which works collaboratively to innovate and develop good, translational science that will protect and enhance food, plant, and environmental quality. We love working with leading edge innovators and Podfo is a fantastic example of a company which is at the forefront of its industry. It’s also great to launch a product which has been developed and manufactured in the North East to a national market.